Who wouldn’t love to cook like a Michelin star chef? According to Dr. Stuart Farrimond, the only way to truly uncork our culinary potential is to get a handle on the science of cooking. In his new book The Science of Cooking: Every Question Answered to Perfect Your Cooking (DK Books), he provides cooks of all abilities with a comprehensive and visually stunning guide to every question you’ve ever had on sautéing, searing, slow cooking, and more, providing the building blocks for becoming a great chef. 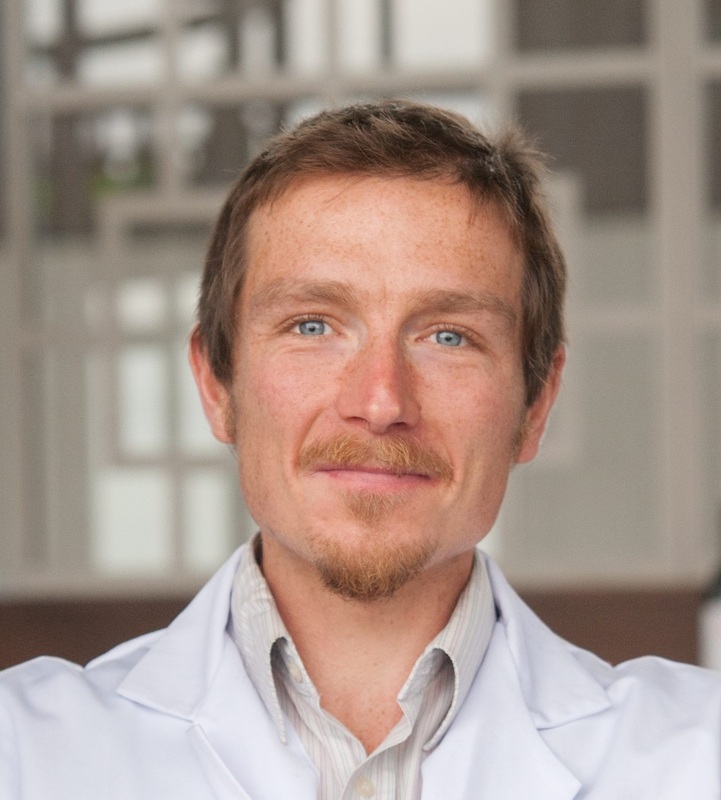 Specializing in food science, Dr. Farrimond is a science and health writer, presenter, and educator. He has conducted wide-ranging food science research and makes regular appearances on TV, radio, and at public events, and his writing appears in national and international publications, including the BBC, The Daily Mail, and New Scientist. Stuart is an experienced science communicator and founded the online lifestyle-science magazine Guru, which won support from the Wellcome Trust – the world’s largest medical research charity. 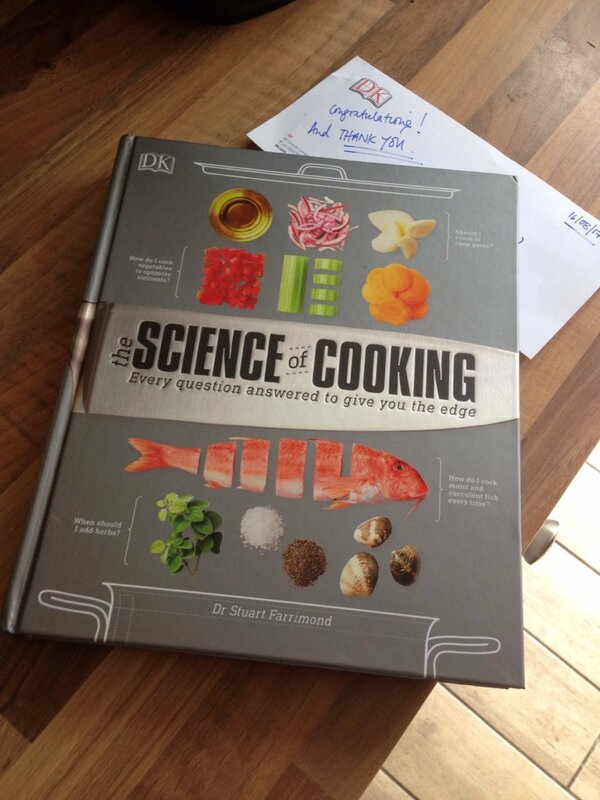 The Science of Cooking answers over 160 of the most common culinary questions, drawing on the latest research available, to give a deliciously accessible jargon-free read, full of practical know-how. He explains flavor and alcohol pairing, cooking techniques, essential equipment and more, making it the go-to book to master any dish. What is your favorite food to cook at home? Anything stir-fried. When you cook small pieces of food in a searing-hot wok, you coat them with a unique complex smoky flavor, called ‘wok hei’ (meaning ‘breath of wok’). 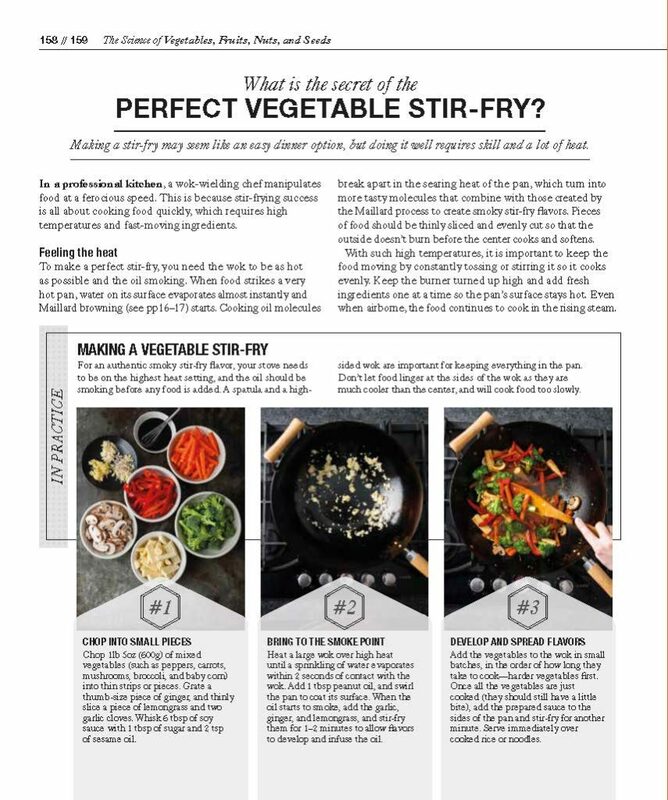 Stir-frying is a fast and exciting way to turn out great tasting dishes. Unfortunately, most of us Western cooks do stir frying a disservice by not letting our pan get hot enough, meaning that ingredients simmer and steam, rendering them soft and oily. A selection of cheeses. At a minimum, there is a super-strong mature Cheddar, something very stinky (like a traditional Camembert), and a more delicate-tasting soft cheese (like a goat cheese). Who would have thought fermented, moldy milk could taste so good? What marked characteristic do you love in a person with whom you are sharing a meal? Someone who can be both silly and serious. Ken Hom. I discovered his cookbooks while at University, and his easy-to-understand writing opened my eyes to the idea that cooking was more than simply putting frozen food in the oven. I was never taught how to cook anything other than scrambled egg when a child! Surely the quintessential kitchen tool is a chef’s knife? If a knife doesn’t count as a ‘tool,’ then my instant read digital thermometer is easily worth its weight in caviar. I think good, old-fashioned stews are woefully underappreciated. With nothing more than heat, time, and a sturdy casserole dish, an inedible, rubbery joint will miraculously transform into mouth-wateringly succulent morsels that are deeply infused with deep meaty flavors. Beef bourguignon is my favorite slow-cooked meat dish. Because, let’s face it, few countries do it better than the French. Beef. Good quality fillet steak, bought from a local butcher, served rare or medium-rare. The British chef Michael Caines is truly inspiring. Despite losing his right arm as a young chef in a road accident in 1994, he returned to the kitchen in just two weeks. He defied the odds by going on to become one of the world’s best chefs, winning multiple Michelin-stars and countless awards. I have had the privilege of eating at one of his restaurants several times – and his fantastically flavorful dishes are elegant and unfussy, with a focus on seasonal produce. Ice cream. Sweet, icy-cool and soft – I love ice cream so much that I have sometimes wondered whether it should be considered as a food group in its own right! (Just kidding.) The Italians and (oddly enough) the Germans know how to make truly great ice cream. Pork rinds. They are a traditional British bar snack, but these pieces of deep-fried and salted pork rind are utterly repulsive. I’d rather chew on my shoe. What is your favorite non-food thing to do? Cycle. The freedom of riding a bicycle on the open road on a summer’s day is hard to beat. It helps to clear the mind and the spirit. Where is your favorite place to eat? A small eatery in the city of Bath, in the South West of England, called Menu Gordon Jones. Tuesday through Saturday evenings it opens up to serve a six course ‘surprise’ tasting menu, which is put together by the chef based on the fresh food that he has been able to source that morning. You don’t know what you are going to be served – it could be snails and chocolate bread – but it always tastes great. It is quirky and achingly stylish and has fun little touches, like flavored oil served out of test tubes. My all-time favorite restaurant is The Dining Room restaurant at Whatley Manor. This two Michelin star restaurant is in a manor house hotel nestled in the picturesque green rolling hills of the English countryside. They understand that eating is an experience that involves all the senses and every dish is like a work of art – that tastes even better than it looks. Do you have any tattoos? And if so, how many are of food? No tattoos. Although if I were to have a food-related tattoo, it would probably have to be a strawberry. Because who doesn’t love a strawberry? 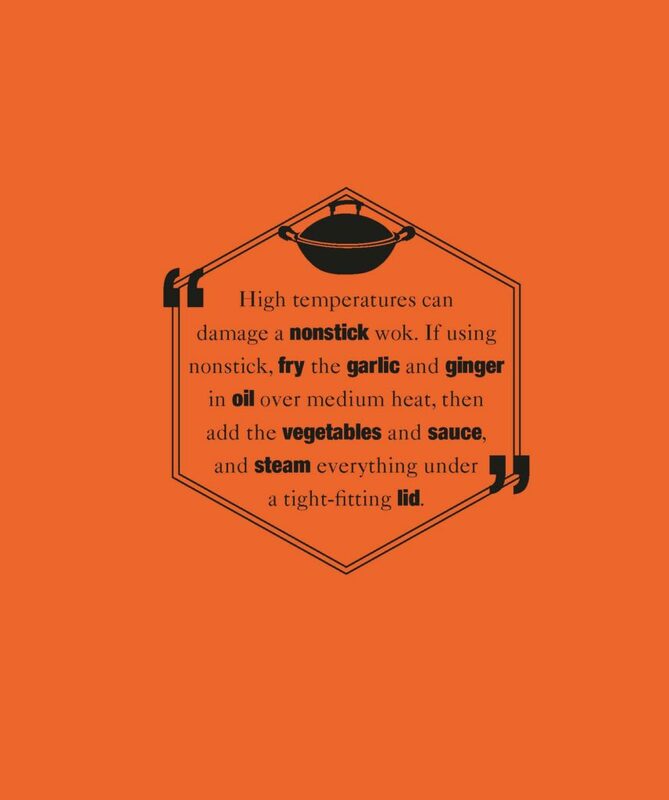 To capture an authentic-tasting stir-fry flavor, get the wok as hot as you dare on a burner running at full-tilt. The metal should be smoking or shimmering. Add a good slug of groundnut/peanut oil. This is the best oil for stir-frying as it can tolerate very high temperatures without burning. When the pan is steaming and smoking, drop in finely chopped fresh ginger and garlic and stir-fry for a few moments to brown off and flavor the oil. Now add other, ingredients chopped into equal-sized slices. Add onion first then other ingredients in small batches in quick succession – too much at once will cool the pan down. Crank up the heat and keep the food moving! Add vegetables in the order of how long they take to cook – harder vegetables first. If food starts to burn and stick, try adding some more oil. Don’t turn down the heat but instead add extra ingredients to cool the pan or momentarily lift it off the flame/hob. If some ingredients won’t soften, add a tablespoon of water and immediately cover with a tightly fitting lid. Keep the heat up on maximum and don’t lift the lid. After a couple of minutes, everything should have been steamed to ‘al dente’ perfection. Place cubed chicken in a bowl and cover with equal quantities of light soy sauce, dark soy sauce, rice wine and sesame oil – about a tablespoon of each is sufficient for a pound/500g of meat. Add a crack of black pepper or Sichuan pepper. You can leave the meat to soak for 30 minutes in the fridge (leaving for too long can make the meat turn mealy). Mix in about a tablespoon of corn flour so that the chicken is coated. Drain off excess liquid then add to your stir-fry! Steaming, as is described above, is a technique known as chao (pronounced as ‘chow’, as in chow mein). Rather than using water, try adding a good splash of light soy sauce with an equal quantity of rice wine (optional). It is well worth getting hold of some rice wine as it helps gives a dish genuine flavor. When you have tried it in your cooking, you won’t go back! Experiment with other ingredients and flavors – try adding lemon grass or Chinese Five Spice! Dark soy sauce is a stronger tasting, stickier sauce that has been fermented for longer than light. Use it for marinades rather than for adding to a stir-fry. (‘Light’ soy sauce does not mean it has been diluted or is low in calories!) Always go easy on the soy sauce – our sense of saltiness is dulled at high temperatures and will taste saltier when served. Diners can always add more later. When cooking meat or fish, make sure that it has been cubed or thinly sliced evenly. Don’t add meat too early to a multi-component stir fry else it will overcook. This is especially true if finishing with some ‘chao’ steaming. Instead, try cooking the meat pieces at the start with garlic and ginger until they have a nicely browned crispy coat then set aside. Add it back in with the other ingredients toward the end of cooking. Finish your dish with a drizzle of sesame oil. For a warming, spicy kick, grind some Sichuan peppercorns. Don’t cook with sesame oil because it will smoke and burn, producing an acrid taste.